The following fees shall be charged by the animal control officer(s) before an impounded animal is surrendered to its owner. For those who live in Merkel, Trent, Lawn or Hawley, please contact your City Hall for the total amount due. 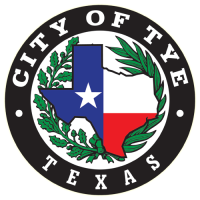 Once payment has been made, a copy of the receipt showing the fine was paid will need to be provided to Tye City Hall before the animal is released back to the owner. (A) Dogs and cats: $7.00 per animal/per day. (B) Fowl and any animal excluding dogs, cats: $6.00 per head/per day. $20.00 per deceased animal (dogs or cats) from private property at the request of the owner. (A) $10.00 per dog or cat (with signed euthanasia release form). (B) Animals other than dogs or cats, charge will be based on animal size (with signed euthanasia release form). (5) Leash fees: Any person reclaiming an impounded animal without a leash, a $2.00 fee shall be assessed and a leash will be furnished to the person reclaiming said animal. (6) Special permit fees: A $25.00 annual fee will be assessed for permits issued for livestock, fowl, and kennels, upon city council approval of the zoning district. The fees and monies received under the provisions of this chapter shall be paid to the city and shall be used for defraying the cost incurred in connection with the enforcement of the provisions of this chapter. The person in possession of every dog or cat shall pay a fee of five dollars ($5.00) for each tag evidencing the license required by this chapter. For more information, please contact City Hall at 325-692-8588.